Krsna is always showing us the next step in our spiritual lives. So if it is clear that the next step is that you should be doing more, then we should take that step. If you feel, “Krsna is showing me that the next step is to develop love for him“, then do it! You have these karate movies where the young karate character come out and makes all these moves and he is going really fast on all sides. But then an old Kung-Fu master comes out and does not make all these moves, but instead just has this one concentrated move. And then all of a sudden, everyone is flying in all directions and gets knocked out. (laughter) So in the beginning, we are like these young karate guys trying to run around, but we lack depth and we lack the real concentration and focus. 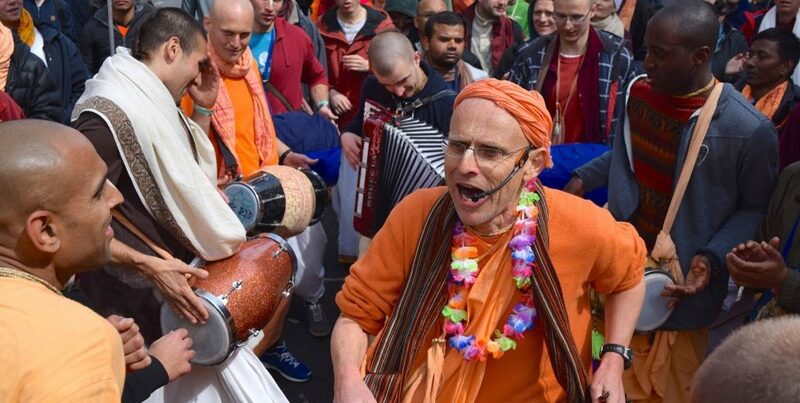 We are trying to be busy for Krsna, trying to always chant, read and so on. 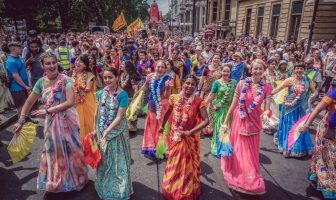 But what we really need to work on is to deepen ourselves through our relationships and go deeper in our commitment to Krsna. This is the beginning step and it helps us in making Krsna the real priority. After all, he is the Supreme! Nothing is really important except Krsna. We must truly understand this. 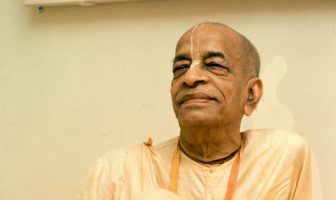 Even in our relationships – our marriage, our friends and our families – if it does not help us go deeper in our relationship with Krsna, then what is the point of it!? Otherwise, we are just creating a beautiful illusion for ourselves, which is totally meaningless. If we are not trying to make our children Krsna conscious, then what is the point of having them? If we want to give our children Krsna consciousness, we cannot do it by dictation. We cannot do it by rules, “You must do this. You must not do that.” Such harshness will not work in the long run. Instead, we must pass Krsna consciousness through inspiration, by setting an example. Kids never do what you say, but they do what you do. So we must attempt to the best of our ability to be a devotee and conquer them with devotion; only then they will be amazing devotees. If somebody has nice qualities, it impresses us. A thousand lessons from a book about moral behaviour would not work as much as the impressions from an inspiring person would. Relationships are a big thing! So if you are looking to engage in relationships and starting a family, you have to aspire to be spiritually advanced.